Walking into Future Future feels like slowly waking up from a dream. 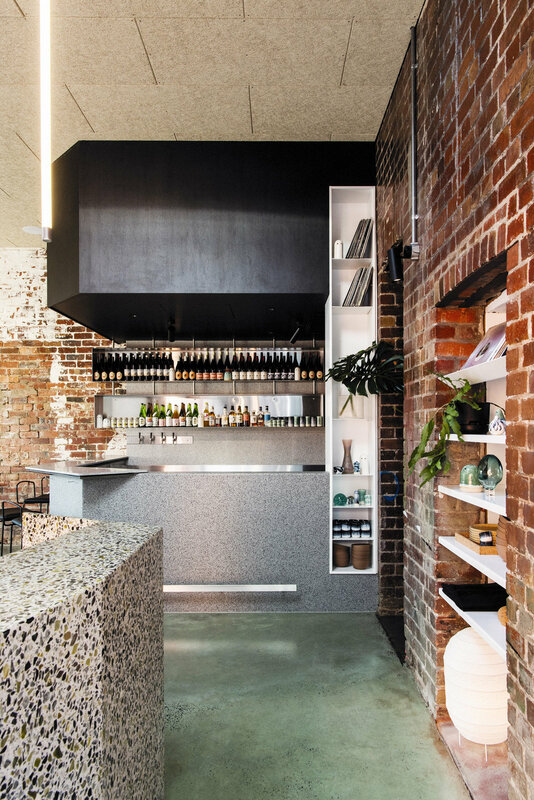 Carved from a quintessential Richmond red-brick building, the restaurant features a fascinating combination of styles and materials. The Future Future ethos embraces the Japanese concept of wabi-sabi (the finding of beauty in transience and imperfection) in both its menu and interiors. This creates a surreal but coherent, strange and intimate setting which is perfect for sampling their unique and delicious selection of food and drinks. The eclectic combination of materials have been brought together to great effect. The details are spot on; from the custom ceramic cups, embroidered uniforms, metal joinery, through to the retrofuturistic branding Future Future is difficult to describe but beautiful, and you’ll have to go and experience it for yourselves! Designed with unprecedented consideration and deliberation, the collection of eight, three-storey townhomes are stylised to be an instinctual extension of Elwood’s relaxed modern living. The welcoming sense of intimacy is also seen in the built form with a significant recess allowing light to pour into each home. Drawing inspiration from the distinctive circular forms seen in the Art Deco movement of the 1920s and 30s, Cera Stribley Architects (CS-A) looked to emphasise each home’s facade, curving the white brickwork. Luxury Womenswear brand Mastani opened their Armadale showroom to the public in late 2018. Designed by Design Office this store invites guests through its three carefully-curated salons. The thoughtful design features beautiful materials such as natural stone, herringbone timber flooring and rich fabrics which have been crafted to create a soft but powerful and inviting space which is the perfect backdrop for Mastani’s collections. Light, fresh, timeless. 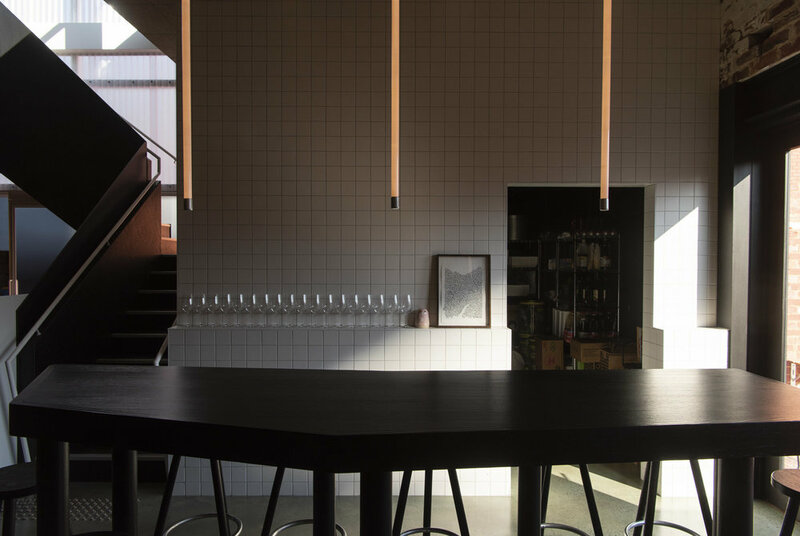 Bicycle Thieves café on High Street Northcote designed by Pierce Widera is a celebration of modern Australian minimalist design. The floor to ceiling windows and polished concrete floor ensure that the whole space is bathed in natural light. We also love the stunning custom lighting fixture which runs the full length of the main counter and the tiled detailing of the counter itself. It’s the perfect spot for your next Sunday brunch! Maap Store in North Melbourne is not your standard cycling apparel store. When you enter you are greeted by a friendly barista and a refreshing lack of pushy sales staff. The high-end cycling gear is carefully curated and displayed around the space. The high ceilings, white walls and natural light provide a calm and inviting environment to browse the collections. If you love cycling and great design this one’s a must see!